Posted on August 28, 2014 February 6, 2015 . by Patrick Johnstone. Leave a comment. You know, I hate to dig at TransLink. They are getting beaten up enough by the likes of Jordan Bateman and John Winter and Todd Stone that they don’t need actual public transit advocates like me running them down. I recognize that most of their problems are the result of a near-impossible mandate from a Provincial government not interested in providing the secure funding to support that mandate, accentuated by the occasional random Minister of Transportation decision that take a another big chunk out of their budget for no reason but to give the Minister a speaking point or a ribbon to cut. Examples? The Golden Ears Bridge; Universal U-Pass; Faregates. It may ultimately be this untenable funding situation that is causing all of this euphemistically-named “Service Optimization” that I am currently going to complain about. At least TransLink should have the guts to call it what it is: Service cuts. These creeping reductions of service impact already-poorly-serviced areas, and further erode the ability to earn fare revenue by making the choice of using Transit less viable for more and more users. TransLink must know this is a terrible course to be on, why are they sugar-coating it? We in New West are fortunate to have exceptional Public Transit accessibility relative to many parts of the Lower Mainland. We have more Skytrain stations per capita than anyone else, and the majority of our populace lives only a few minutes from a transit stop of relatively high reliability. 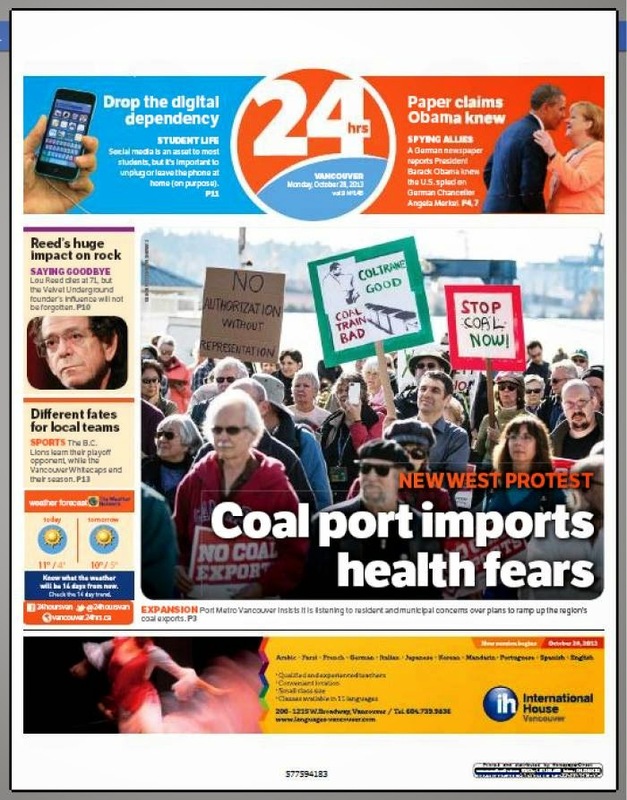 For this reason, New Westminster residents lead the region in transit use per capita. Build it, and they will come. But what do they do when you take it away again? 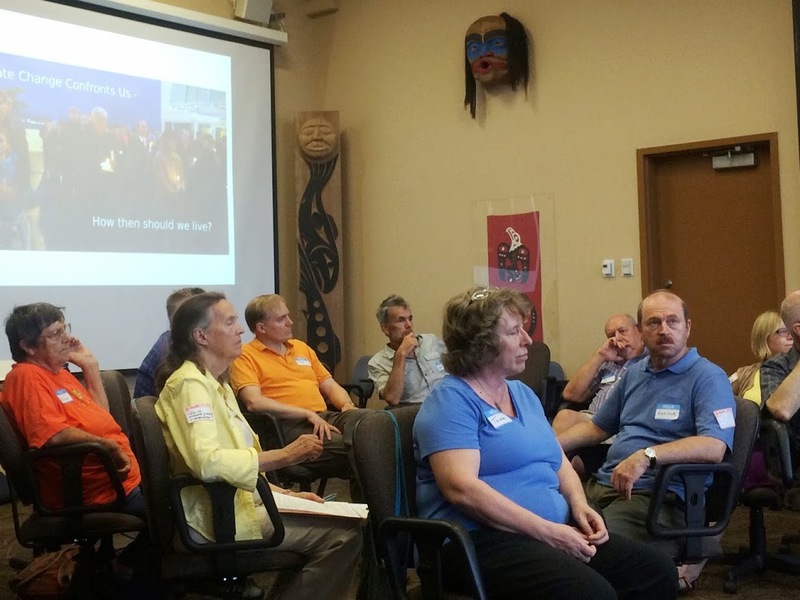 A previous round of service cuts severely limited transit access in New Westminster’s fastest growing neighbourhoods in Queensborough, and the important community centres in the neighbourhood are starting to speak out. 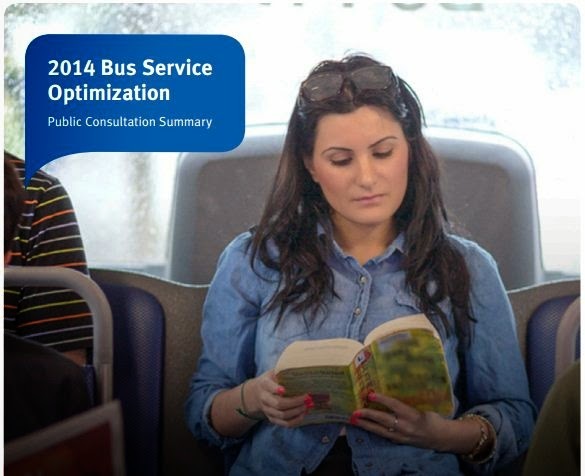 This round, we see the C9 service reduce to once per hour in “off-peak times”. With not a sniff of local public consultation. There is essentially no mention of New Westminster in the document I just linked to, which is a report on the public feedback to the reduction in service. Near as I can tell, they didn’t even come to New Westminster to talk to us about it – and their office is here! Their entire feedback on the cutting of service in New Westminster? “Some concern in selected communities”. For people in our City – people I know personally – the C9 is their only reasonable transit access. They do not live out in the distant suburbs of Langley or South Delta that TransLink can hardly , they live in a dense (formerly) transit friendly neighbourhood in the centre of a bustling urban centre, in a City with huge transit use. Their only access to Transit becomes a once-per-hour service, which by any measure no longer makes it a reliable, useful, or accessible service. For reasons that should be obvious to everyone, I’m talking to a lot of people in New Westminster these days about the “big issues” they have around local governance. Traffic is #1. Few people on the doorstep admit they understand the problem, and what the solutions are. I know I don’t have an easy solution, and can’t promise one. But this – cutting bus service in the middle of a busy transit-friendly dense urban area to the point where it is no longer a useful service – is clearly NOT the solution to our traffic problems, and may well increase them. I hate, Hate, HATE this idea of a referendum to decide if we are going to securely fund out transit system, but if that is the only pathway towards ending these cuts and building the service to support our growing population, then we need to line up to vote Yes and get this system building again. Posted on August 27, 2014 February 6, 2015 . by Patrick Johnstone. Leave a comment. This has been an epic summer. So many good things took place in New Westminster, and there is a lot to look forward to in the coming months. When we look back at 2014, we might remember it as the summer that Street Festivals really took off. Sapperton Day is always a great one-day fest, two Uptown events and a real growth in the excitement around the 12th Street festival, our existing events are getting stronger. But it was Columbia Street in Downtown that went crazy. Show & Shine is always epic, but the Pride Street Fair and Columbia StrEAT Food Truck event showed that our appetite for closing streets in the summer is hardly slaked. There were people at last week’s events wondering why we don’t close streets more often. My first comment was that the streets were anything but “closed”. Tens of thousands of people arrived to talk, walk, eat, listen to music, shop, and share tables in a place where there would normally be cars trundling along. Calling that a “street closure” reinforces the conceit that our public spaces are best used for moving cars through. I like the idea of calling these events “Street Openings”. My second comment was that yes, the City can probably hold more of these, every second Saturday from Canada Day to Labour Day might be possible. However, these are not City-run events. These are events put together by teams of volunteers with help from not-for-profits like the Downtown BIA and Pride. They don’t just happen, they take planning, execution, a whole lot of energy, and the assistance of sponsors. The City assists with grants, Bylaw exemptions, and donations of services, but they don’t organize the event. If we want more of these, people are going to have to step up and organize them. The good news is that recent success will make it much more likely that the City will say “yes” when another event is proposed and comes with a solid proposal. Tired volunteer at the end of the Pride Street Opening. We moved a lot of tables that day. Other than volunteering at and/or attending Street Openings, I have been knocking on more doors. Someone has to write a book one day: Adventures in Door-knocking. There is such an interesting mix of ideas and opinions you encounter in any 4-block radius. Any notion you may bring about how one specific area votes, or what the consensus opinion is in another are soon dashed when you start chatting with people on the doorstep. This is why it is such a valuable experience for someone like me, who is running for Council for the first time. As pointed out by a supporter this week on Facebook and discussed on Twitter – neither of these social media replace face-to-face conversations. As a non-incumbent, there are a lot of connections I have yet to make in the community before I have anything resembling “name recognition”. So back to the door-step I go. The best part? Door-knocking is actually fun. It is full of unexpected moments, it is a constant learning experience, and people are, for the most part, genuinely happy to have a conversation about the neighbourhood. See you out there on the streets! How much road is enough? Posted on August 15, 2014 February 6, 2015 . by Patrick Johnstone. 3 Comments. For reasons that should be obvious to everyone by now, I have been talking to a bunch of people about “the transportation issues” in New Westminster. It has been fun, informative, sometimes perplexing, often frustrating. For every person suggesting simplistic short-term solutions, there is another calling for bloody revolution. Unfortunately, the suggestion of gradual improvement though better planning, application of the best practices from other jurisdictions, and working with our neighbours to solve the regional transportation puzzle sounds unsatisfying compared to those extremes. A local twitter follower I respect greatly raised an interesting point a couple of weeks ago, asking a seemingly simple question out of the blue: “does anyone know percentage of metro Van covered in asphalt?” I was (almost) embarrassed to admit I had written the answer down less than 24 hours before he asked, but his question led me to do a little more digging, and I found the data interesting. First, the reason I wrote the information down was my job. I was attending a meeting at Metro Vancouver where a version of this question was answered. The meeting was of municipal engineering and environmental staff from around the region, and the subject was stormwater management. As part of the regional Liquid Waste Management Strategy, Metro is helping the municipalities of the region set some planning priorities around how the manage their stormwater. Efficiently moving rainwater from your street, roof, and back yard to the river or ocean so that is doesn’t flood your community is one of those big, expensive tasks that is almost invisible to most people, except the way it eats up your tax money. The amount of pavement covering the ground is important to stormwater management because rain that hits pavement doesn’t get absorbed and stored in the soil like it does if it falls in a park, the forest, or your back yard. Instead, it needs to be immediately dealt with by the storm sewer system. Also, rainwater that runs off of streets tends to get dirty, and is a major cause of pollution for sensitive estuarine and marine ecosystems near urban areas. Reducing this run-off, or encouraging natural filtration of parking lot run-off (for example) through bioswales or the such is one of those strategies that requires some investment in the short term, but can save Cities a lot of money in the long-term while improving the environment. But I was talking about roads, so back to roads. 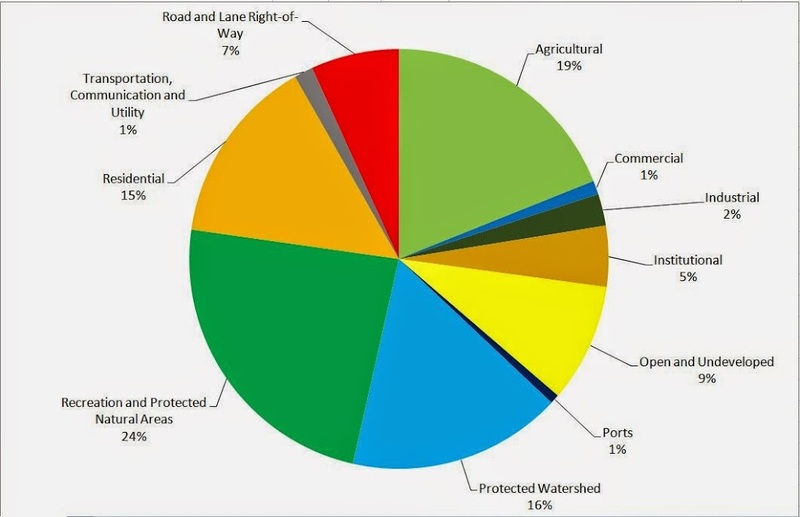 During this meeting, a pie chart went up on screen that showed how land use was divided up over the region, for the purposes of thinking about road run-off. The quick stat I wrote down was 17% of “developable” land was roads. After the fact, the Twitter question was raised, so I found the source data, and drew up my closest approximation of the pie charts we were shown. Note this is 2006 data I am using here, and I think the data I was shown at the meeting was 2011, so there will be a little change at the edges, but the major divisions are pretty clear. Land use in Metro Vancouver, 2006, by area. Click to Enlarge. Land use for “developable” land in Metro Vancouver, 2006, by area. Click to Enlarge. Land use for “developable” land in New Westminster, 2006, by area. Click to Enlarge. 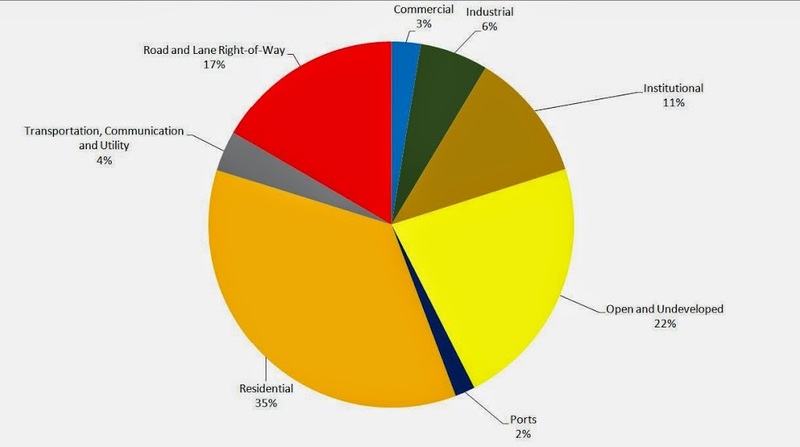 Of the “developable” land in New Westminster, 29% is covered with asphalt so people can drive on it. If you include the City’s undevelopable Parks and Protected areas, that number only drops to 26.6% Both of these numbers are the highest in the region. 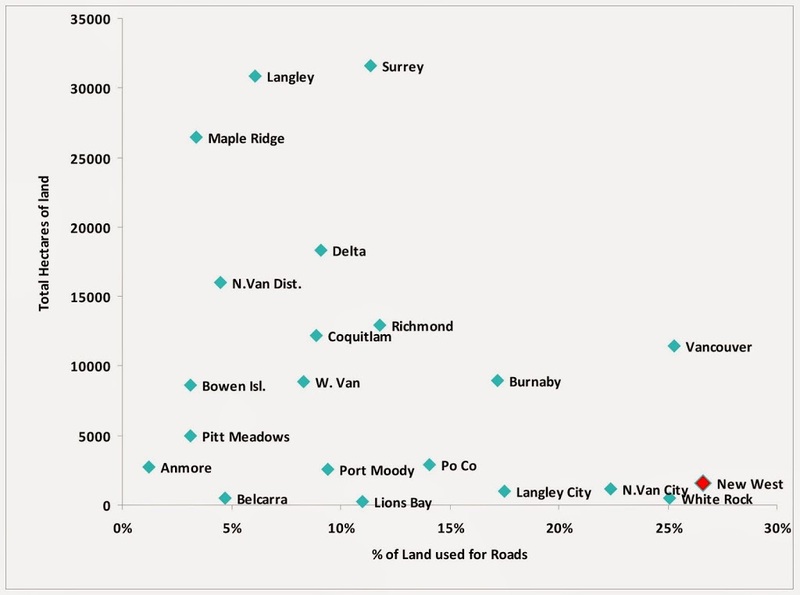 Comparing our immediate neighbours: Burnaby is 17% road, Coquitlam 9%, and Surrey 11%. OK, enough with the numbers, you say- what does it all mean? Roads don’t pay taxes. 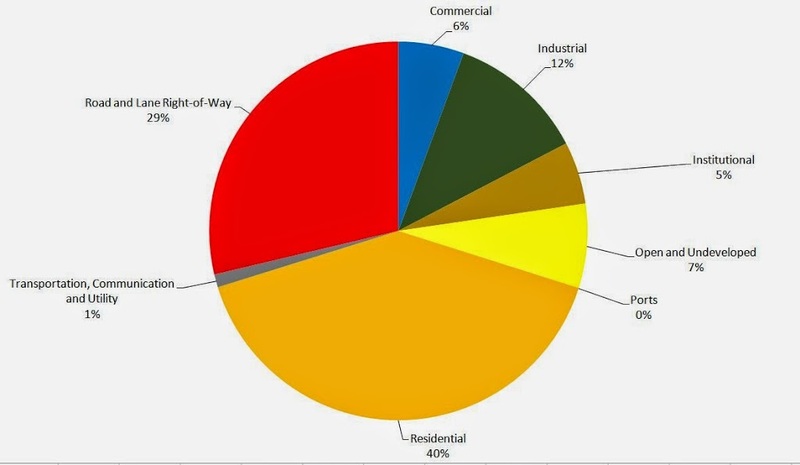 Dedicating a large portion of your land space to roads means that land is not earning revenue for the City, so the taxes on the adjacent (commercial, industrial and residential) lands have to be proportionally higher to provide the same level of services to the residents and businesses of our community. However, it is worse than this, because roads are a huge financial burden on Municipalities. Pavement is expensive to install and maintain, as are the associated drainage works, curbs, road markings, signs, lights, overpasses, and other fixed assets that keep the road system operating. Add to this the less tangible policing, fire, and ambulance costs related to enforcement of traffic laws and dealing with accidents and injuries on the roads. I’m not arguing against roads, they are a service the City provides, through your taxes, for the general good (dare I say, they are an example of a benefit of socialism). I am arguing that the City with the highest proportion of roads in the British Columbia should continue to resist the calls from neighbouring communities to solve their traffic problems by turning more of New Westminster into road space. It isn’t just a matter of livability, it is also because we simply cannot afford to give more of our land away to support their poor planning. Bonus Graphing Excellence: Here is a plot of the Area of every Municipality in Metro Vancouver with the % of that area dedicated to roads. Note poor correlation between two data sets. You might need to click to make readable. Posted on August 15, 2014 February 6, 2015 . by Patrick Johnstone. Leave a comment. I wish I had more interesting news than this, but all I have to report is that setting up a campaign is full of little tasks that need to be done, and we are busy doing them. To give you an idea of what is involved, here is a quick summary of our last couple of weeks. Our early supply of doorhanger-style leaflets is pretty much depleted. The thought was to have a set of doorhangers printed up, hoping to have a few people distribute them the weekend of the launch. That way we might get some more info on people’s doorknobs the weekend that my face was on the cover of the newspaper (presuming, of course, that my face got in the newspaper). I got a better response than expected from people wanting to help out right off the bat, and we ended up running out before we could get then to all the volunteers! A second round will be returning from the printers very soon, designed more for handing out during door-knocking than hanging on doors. “Door-knocking” is literally what it says. A volunteer and I select a neighbourhood, and head out for about 2 hours to knock on doors and talk to people. It is actually a lot of fun if you are a “people person”. The goal is to meet people, let them know there is an election coming, and that I am their best candidate! The other goal is to find out what their biggest issues or concerns actually are. Though the vote is only 3 months away, the election is hardly on the front of most people’s minds, so it sometimes takes a bit to draw out their ideas – but it wouldn’t be New Westminster if people didn’t want to bend your ear about all that is going right and all that is going wrong about the City. Aside from door-knocking and attending any event where people are talking about City issues, there are endless other tasks. One is data-gathering, which means making sure we have names and contact info for the people who have already volunteered to help or have donated, so we can be sure to acknowledge them and make plans. It also means creating a geographic database of helpers and neighbourhoods, so we know what ground we have covered while door-knocking and leafleting, and what we have not. Concurrently, we are trying to line up volunteers with things they might actually like to do, and setting up schedules that work for people. We are designing upgrades to this website to improve the interactivity, and are doing some message and advertizing plans. There is a lot that has to be put in place right now so it is ready for the true campaign period – which should start about mid September. So if you are like the majority of people whose doorstep I have not hit yet, and if you are coming here looking for updates, recognize that an apparent lack of activity belies furious activity in the background, putting things in place. And if you think you might want to spend part of an evening doorknocking with me, you might want to help organize our upcoming fundraisers, or you would like to help with datagathering, phoning people, website stuff, organizing neighbourhood teams, or any other task, please hit that “volunteer” button over there to the right, and give us your contact. We will get back to you when we are ready to put your skills to work. Or write me an e-mail at info@patrickjohnstone.ca and we can chat about a way you might be able to help. A campaign is like a community – many hands make light work. Posted on August 6, 2014 February 6, 2015 . by Patrick Johnstone. Leave a comment. Now that we all survived traffic-ferry-border-freeway chaos just to get to the beach-island-lake-forest for the long weekend, I am sure you have resolved to spend next weekend at home and never facing that again. Am I Right? The good news is that you don’t have to leave New Westminsternext weekend to have a weekend full of fun and variety, because the CulturalCrawl is August 9-10. There are events happening in all the different neighbourhoods of New Westminster: some passive, some interactive: some featuring emerging artists, some looking at our history; some a feast for your eyes, some hitting the other senses. And it’s all free. When most of us think about Arts in the City, we think about the visual arts (and there is no lack of these on this tour), but Trudy Van Dop, the founder of the Culture Crawl, envisioned a distributed cultural experience, where a City can show the many aspects of its culture – the artists, the historic sites, the museums, the history and the hot spots. Think of what you would want to do if you had guests from outside of the country visiting New Westminster for a weekend- what are all the things you would you want them to see to show off the City’s best characteristics? The Cultural Crawl aims to make them all available on one weekend to encourage “Staycations”, and to attract regional attention to the culture of the Royal City. The many private and public galleries in the City are open for the weekend, including Trudy’s beautiful gallery in Victory Heights and the brand new art space opened by Susan Grieg at 100 Braid Street. There will also be special shows at our various museums (including Irving House and Cap’s Bicycle Museum), specials at various retail shops with artsy appeals (including Brick&Mortar Living, Localo Living, the RiverMarket, etc.) and events everywhere from an English Tea at Port Royal Community Garden to the annual Uptown Live music event. Jeez- have you seen the Uptown Live lineup? This year, Ms.NWimby and I are contributing to the Cultural Crawl in the slightest way possible. I mentioned in an earlier post about the passing of our friend, the great painter and artist Jack Campbell. He was born and raised in New Westminster, and created many works chronicling the recent history of his hometown. He was also well known and respected in the local arts community, even after he “retired” to paint on SaturnaIsland, so it turns out many people in New Westminsterhave small collections of his work. During the cultural crawl, there will be a retrospective showing of selected pieces of Jack’s work, loaned from various New Westminster residents owned by local residents, at the New Westminster Arts Council gallery at Centennial Lodge in Queens Park. We have lent a few Jack originals and prints for the show, both depictions of New Westminster’s (sometimes gritty) history, and some of his late works that find unique forms in the arbutus trees and rocky shores of his home on Saturna Island. So make Centennial Lodge one of your stops on the Crawl this year, pay a tribute to Jack, but mostly enjoy the fact we live in such a diverse, active, and expressive community, thanks to the volunteer efforts of people like Trudy Van Dop. Summer is great time to be in New West – why drive anywhere else? Info, schedule, pamphlet, instructions, etc. here. When I look for advice, I lean on the experts! You can stream the entire program here. Although you might want to scroll ahead to 13:45 to hear my part, you shouldn’t – this is a great show and JJ talks to a couple of your other neighbours. It is worth a listen, as are the other episodes of his special summer show. And just so you know, JJ, the consummate gentleman, gave me lots more advice than “all natural fibres”, but he did it off-microphone to save me from the embarrassment of my existing fashion failures! If I look better on your doorstep this week, it is because I followed his advice. If not, it is because I haven’t had time to shop yet. Posted on August 5, 2014 February 6, 2015 . by Patrick Johnstone. Leave a comment. This is bad. This may be the worst environmental disaster in BC’s history, potentially much larger than the Cheakamus River spill that happened, coincidentally, 9 years ago today. And it should not have happened. It is simply unbelievable that this type of failure can occur in an operating mine in British Columbia in 2014. It is too early to tell who is to blame, but it is clear someone (or more likely, many people) didn’t do their job here. The early press reports that the Mine had been warned numerous times over the last three years that their pond was inadequate, and that they had repeatedly been warned by the Ministry of Environment for violations related to releases from the pond, suggest that this was completely avoidable. It is hard for me to write this without swearing. The company president suggesting the tailings water was safe to drink is, frankly, idiotic, and a terrible dismissive piece of PR. There is no doubt the huge wall or metalliferous slurry that blew Hazeltine Creek from a 4-foot-wide mountain stream into a 150 metre wide mudbog would be, in even the most conservative reading of Section 36 of the federal Fisheries Act, a “deleterious substance”. Plus, blowing the creek out, removing several square kilometres of riparian habitat, while coating the bottoms of two essentially pristine major lakes with potentially quite toxic metal sludge, emulsified chemicals, and entrained fine sediments could pretty safely be deemed a “HADD” under section 35 of the same Act. Violations of these sections could should result in charges, and this should provide an excellent opportunity for the Harper Government to demonstrate that their “tough new fines” for serious offences under the Fisheries Act were not just for show. For a Corporation the size of Imperial Metals, this event should bring a maximum fine of $6 Million for a first offence (although, based on the record of recent violations, including spills of 150,000 litres of slurry in 2012, this might not be a “first offence”). If this event – 15 Billion litres (read that volume again) of saturated water/sediment full of a toxic brew of metals was discharged in to the spawning grounds of fully 1/3 of the sockeye salmon in the entire Fraser River system, right as the salmon are starting to return – doesn’t qualify for the maximum environmental fine, what would one have to do? However fining the company is only one approach- it is clear someone didn’t do their job here. Someone can, and should, go to jail. This is not all on the company, though. Two Ministries are responsible for assuring public safety and the environment are protected here – Mary Polak’s Ministry of Environment, and Bill Bennett’s Ministry of Mines. Did they do thier job? Bill seems mildly concerned in his press release, but isn’t talking to the public or the media. Mary Polak and the Premier are quiet. They should both be pulling out their trusty hardhats – the ones they wear at all of those photo-ops – and tell us, the people of the province, that they are going to get to the bottom of this, and that someone is going to jail here. But I don’t honestly think that is going to happen. I guess we were lucky. No-one got killed, and the damaging debris flow took place in pretty deep woods where there wasn’t a lot of infrastructure to be destroyed. We avoided the type of disaster I wrote about 5 years ago, cheekily suggesting this could never happen here. Our sludge wasn’t as caustic, and didn’t enter populated areas, but we released almost 15 times the volume of polluting sludge. This will not be cleaned up in any meaningful way, there is just too much material spread over too large an area. The best we can hope for is that the contaminants will be isolated and contained until such a time that concentrations of the toxic materials dissipate, and that the promised record sockeye run (if they show up) can make it past the slightly-too-hot lower Fraser River to find a place to spawn despite this setback. Posted on August 2, 2014 February 6, 2015 . by Patrick Johnstone. Leave a comment. Yes, many are friends and people I have worked with, but many are people I hardly know or have never met. Most mention they have been reading my blog, saw me speak at an event, or saw me in their local newspaper, and want to let me know they support me. They commonly say “congratulations!”, for which I thank them for, then remind them that congratulations are what you offer someone after they cross a finish line, where I am currently at the start line hurriedly pinning the race number on my jersey. And I am recognizing there is a real race ahead, and a lot of work. I had many volunteers come out of the woodwork right off the bat, and they helped me run out of my First Run doorhangers (if you got one – collector’s item!) to support the launch. I am already working on “Phase 2” printed materials to support my August door-knocking plan. Meanwhile, the news in New Westminster keeps on giving us things to talk about. I would say the top 3 topics people have wanted to discuss this week are the TransLink decision on truck routes, the ambitious Whitecaps plan for Queens Park, and the Mayoral race – will Wayne or won’t Wayne? I have opinions on two of these. I’m spending the long weekend in New Westminster, doing the busy work of the campaign preparation, meeting with people, and hoping to get some long-neglected garden work done. Happy BC Day!